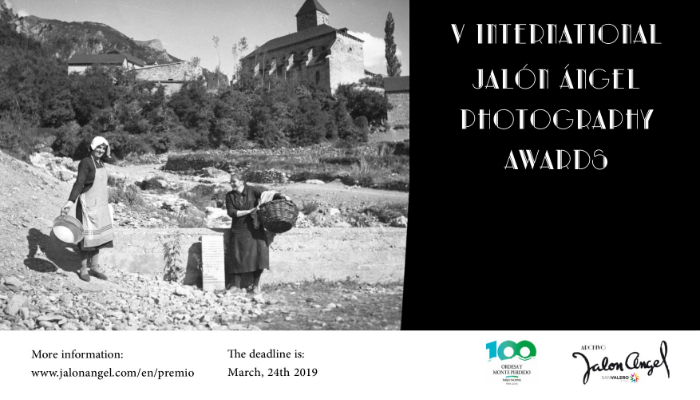 The competition is organised by the Jalón Ángel Photograph Archive and San Jorge University. The contest has three categories: Portrait, Travel and Ordesa y Monte Perdido National Park. Portrait: spontaneous or posed, the subject of the photograph is a person. Travel: photographs showing the cultural particularities of a country (including urban and natural landscapes, but do not focus on the human figure as the only, main element). Ordesa y Monte Perdido National Park: special category in homage to the centenary of the Ordesa y Monte Perdido National Park. It should focus on the national park, portraying its fauna and flora, nature, natural heritage etc. The registration form must indicate exactly where in the national park the image has been taken. Entries must be submitted via the online entry form (click INSCRIPTION here). The competition is open to anyone over the age of 18. Please visit https://jalonangel.com/en/premio to learn more about the competition.